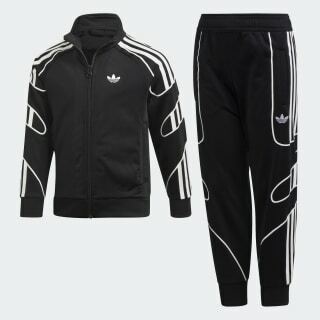 An archive-inspired track suit with a Flamestrike design. Ignited by the flame of football. 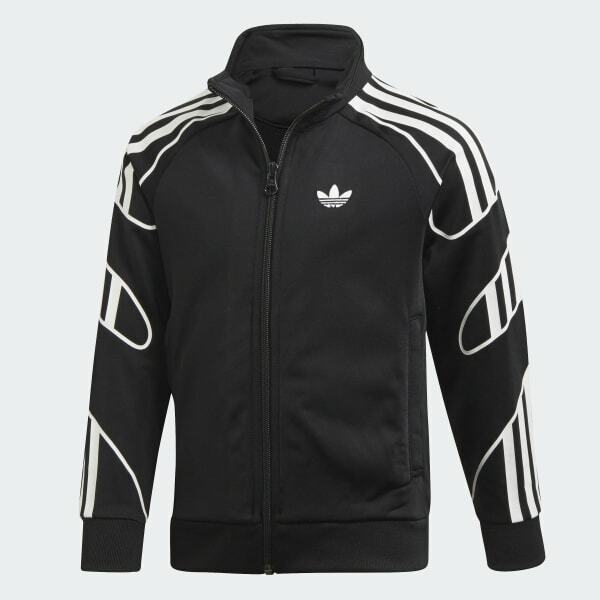 This boys' track suit mirrors the adult version. Its Flamestrike design is pulled from the '90s and '00s archives. Both the top and bottoms are made of an all-recycled polyester tricot for a retro, signature shine.